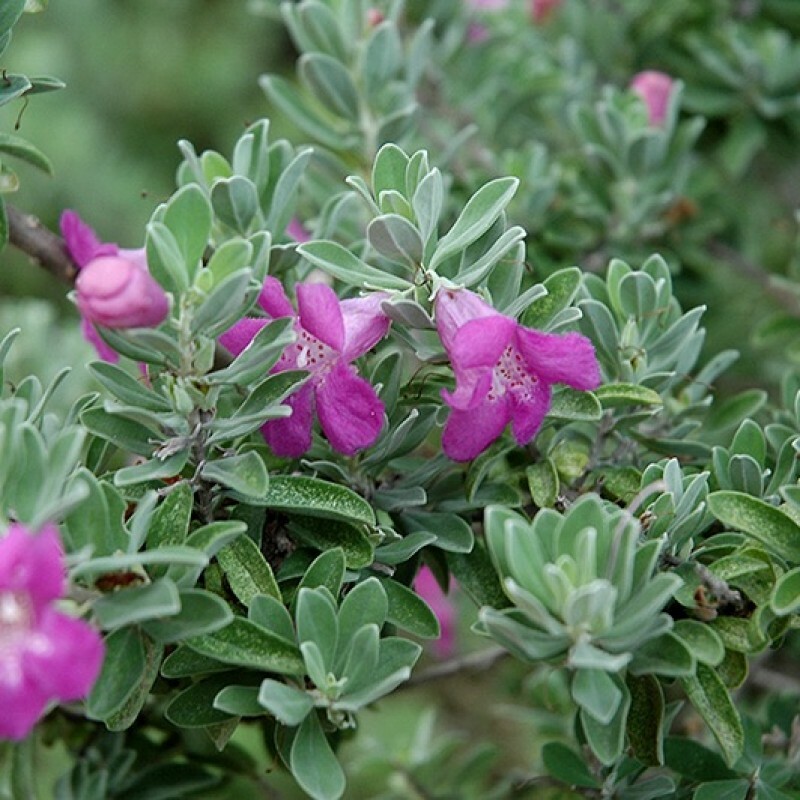 Texas sage (Leucophyllum frutescens) plants are easy-care, compact, drought-resistant and attractive bushes. Choose a well-drained area or this plant won't survive. Plant it a little on the high side, mounding dirt up to it, to make sure there's good drainage even during our rainy season. No soil amendments are necessary. This shrub does fine in a large container. Because it's a slow grower, trimming occasionally (do it after a bloom cycle has finished) should be all that's needed to keep this shrub the size and shape you want. 1. Do not fertilize the plant or add compost to the soil. Texas sage does not need rich soil to thrive and prefers dry but well-draining alkaline soil with infrequent watering. 2. Stop watering the plant during winter. It is a water-conserving plant and only needs occasional watering. Give it regular irrigation to get it established, making sure there's enough time between waterings for the plant to dry out. Once it's established, water during dry spells. Too much water decreases the frequency of blooms, causes the foliage to flop and increases the chances of root rot. 3. Prune Texas sage in early spring if you want to maintain a rounded shape and reduce dense foliage. Pruning also helps older plants that become straggly. Texas sage bushes regenerate at a fast rate. The plant is semi-deciduous and loses some foliage during the colder months. 4. Plant Texas sage bushes if you have rocky, gravelly soil. They are also good for areas where most other plants do not grow, such as slopes.